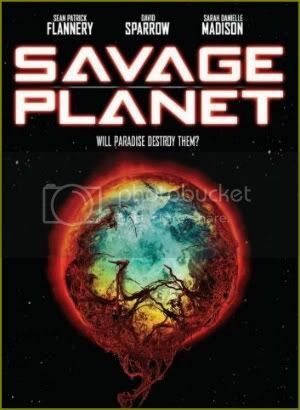 Sean Patrick Flanery and Reagan Pasternak star in this sci-fi thriller about a scientific expedition to a world populated by a deadly species. Cast includes Sean Patrick Flanery, Reagan Pasternak, Joel S. Keller, Roman Podhora, James McGowan, Kevin Hanchard and Sarah Danielle Madison. Set in a future where jungles have overtaken the remnants of civilization, a tribe struggles to survive amid mutated creatures that carry a deadly disease. Cast includes Game of Thrones' Sean Bean, Corey Sevier, Sam Claflin, Annabelle Wallis, Eleanor Tomlinson, Hannah Tointon and Jonathan Pienaar. A dark, contemporary take on the tall tale of Paul Bunyan. 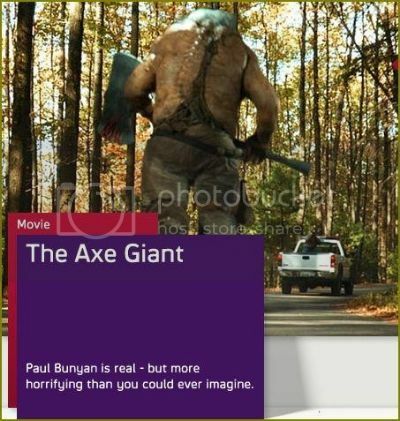 Kids at a first-offenders' boot camp discover the legend of lumberjack Paul Bunyan is real, but is much more horrifying than they could have imagined. 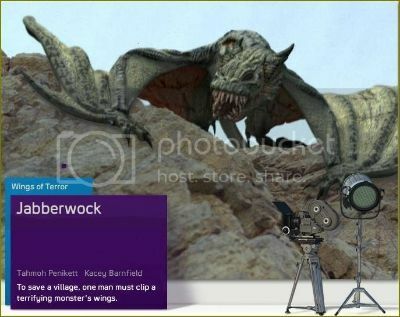 They incur the wrath of the 15-foot monstrous giant, who was banished from town 100 years ago and thought dead. The kids must team up with the local sheriff to stop Bunyan's new rampage of terror. Cast includes Joe Estevez, Dan Haggerty, Thomas Downey, Amber Connor, Tim Lovelace, Jesse Kove, Kristina Kopf, Jill Evyn, Clifton Williams and Victoria Ramos. A group of stranded people try to escape from a mysterious island that's home to an active volcano, pirates and terrifying creatures in this adaptation of the Jules Verne tale. Directed by Mark Sheppard. Cast includes Gina Holden, Lochlyn Munro, Pruitt Taylor Vince, Susie Abromeit, Mark Sheppard, J.D. Evermore, Edrick Browne, Caleb Michaelson and William Morgan Sheppard. The four Pevensie children return to Narnia, only to discover that a thousand years have passed since they ruled there, and the evil King Miraz (Sergio Castellitto) has taken charge. 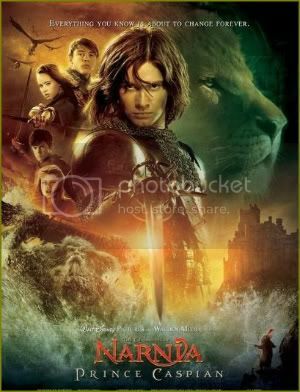 With the help of a heroic mouse called Reepicheep, and the exiled heir to the throne, Prince Caspian (Ben Barnes), they set out to overthrow the King, once again with Aslan's help. 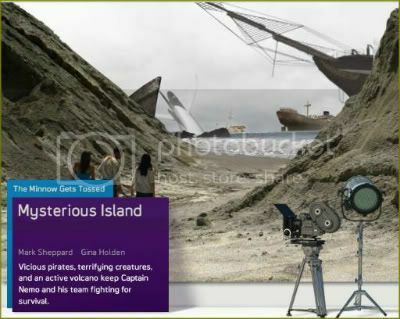 Cast includes Ben Barnes, Georgie Henley, Skandar Keynes, William Moseley, Anna Popplewell, Sergio Castellitto, Game of Thrones' Peter Dinklage, Warwick Davis and Vincent Grass. 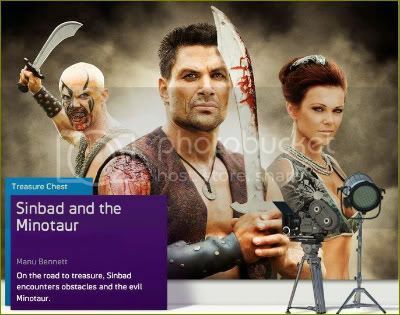 Sinbad (Manu Bennett) must steal a relic from a sorcerer before leading his crew in search of treasure on an island inhabited by a minotaur. Cast includes Manu Bennett, Lily Brown, Holly Brisley, Steven Grives, Dimitri Baveas and Jared Robinson. A sword-wielding hero (Tahmoh Penikett) tries to rescue the woman he loves from the lair of a dragon-like monster. Cast includes Battlestar Galactica's Tahmoh Penikett, Michael Worth, Kacey Barnfield, Ian Virgo, Hugh Ross, Richard Riddell, Rafaello Degrutolla, with Steve Waddington.